Soma is part of a vast cosmic symbolism in Vedic thought. For every Agni or form of the cosmic fire there is a corresponding Soma or nectar. In the human being we have access to special powers of Agni or higher perception and Soma or states of samadhi. The ultimate Soma is Ananda or the bliss of pure consciousness. The brain itself is capable of secreting powerful chemicals that can bring about extraordinary changes in body and mind. While drugs can be used to stimulate or substitute for these, there is much in the brain’s own chemical functioning that can be improved through cultivating a higher awareness. The brain’s secretions can be influenced by special foods, herbs, impressions, breathing exercises, mantras, meditation, and the whole range of Yoga and Ayurveda practices, working through nature rather than outside of it. Cultivating the ecology of the brain is central to health and well-being for the twenty-first century and its continuing high tech developments. What if the brain could be made to secrete a fluid that could renew, rejuvenate, and revitalize body and mind, much like the fabled elixir of immortality – promoting a higher evolution of human awareness into a unitary consciousness of Self and universe? Ancient Vedic thought records the existence of such a substance called Soma, which is a power of bliss and deeper perception. Soma is also called rasa or the essence and Amrita or the immortal nectar. 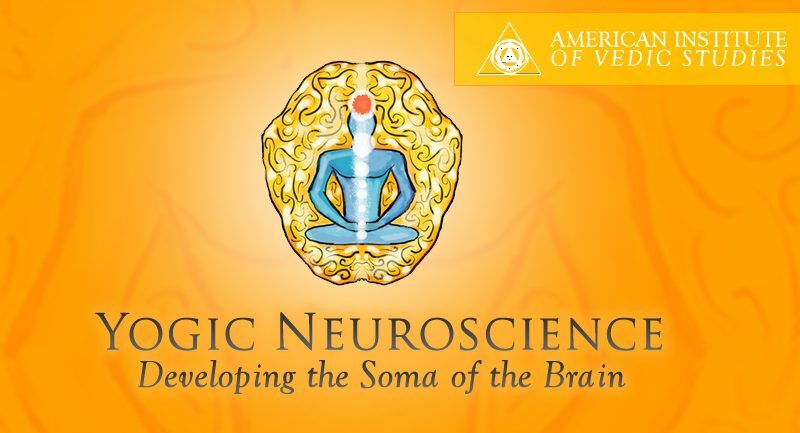 While botanical or herbal Somas did exist and are mentioned in Vedic texts, it is clear from a deep examination of the Vedic teachings, that the highest Soma with the body is an internal secretion of the brain and nervous system, brought about through Yoga practices of pranayama, mantra and meditation. It connects to yet higher Somas beyond the body and ultimately beyond the mind. In yogic thought, the thousand-petal lotus of the head – the chakra at a higher level that corresponds to the brain – is also called Soma. Soma refers to the Moon as the light of beauty and happiness, but also to the Moon as symbolic of the light of cool, calm self-awareness. The brain is referred to symbolically as the Moon owing to the extensive fluids that it contains. Yet the physical brain is but the outer manifestation of a higher power of contemplation. Ayurvedic medicine notes that there is a substance called Tarpak Kapha, a form of Kapha dosha or the biological water humor, which is responsible for the lubrication of the nervous system and the brain. Soma or the power of well-being and contentment is the highest secretion of Tarpak Kapha. Tarpak Kapha is related to Ojas, the Kapha essence of primary vitality that is the essence of all the seven tissues, particularly the reproductive fluid, and is the ultimate resort of strength from both nutrition and our congenital vitality. A yogic neuroscience would aim at understanding and developing the Soma of the brain and the head chakra or thousand-petal lotus. There are many tools and teachings about this in Vedic, Yogic and Tantric thought. Such methods include cooling and calming forms of meditation, Soma promoting mantras and pranayamas, and cooling and calming asanas. Ayurveda brings in special Soma promoting herbs, foods and lifestyle considerations. Deep meditation or samadhi is the key. I have examined these aspects of Soma in my book: Soma in Yoga and Ayurveda: the Power of Rejuvenation and Immortality (David Frawley, Lotus Press 2012). A simple way to begin is the Soma mantra – Om Shreem Somaya Namah! Overall unless we learn to access the blissful energies of higher consciousness, our culture will become progressively more addicted to drugs both recreational and medicinal. Our information technology will irritate our nervous system further. Depression and agitation will increase in our society. Yoga and Ayurveda show us the way to counter this, but we must do the work in our own daily lives, starting with our own sadhana.